For fall décor make some wreaths, garlands, lanterns and add a soft pillow inspired by this beautiful season. 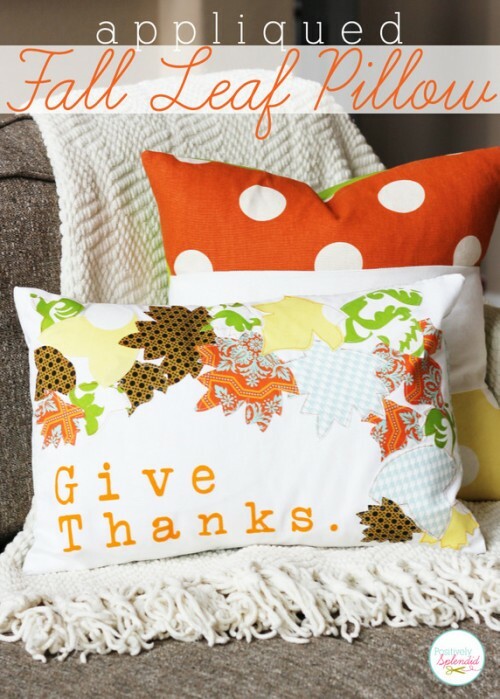 To make an autumn pillow you’ll need 20×14″ rectangular pillow form, 20×14″ rectangle of white fabric for the pillow front panel, 14×13″ rectangles of fabric for the pillow back panels, fabric scraps, coordinating thread, fusible web, a pencil, iron-on letters. 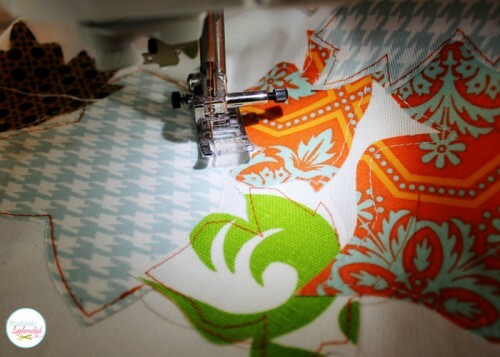 To begin, print off and cut out each of the leaf templates, then iron a section of fusible web to the back of each of the leaf fabric pieces according the product instructions. 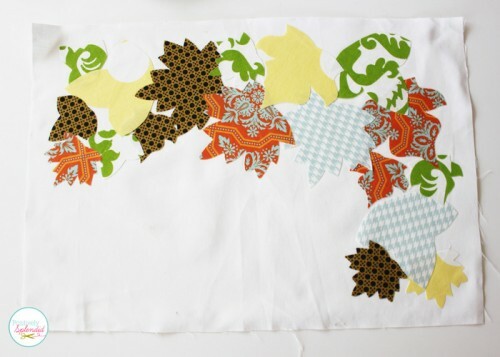 Arrange the templates on the paper backing side of the fused pieces and trace with a pencil. 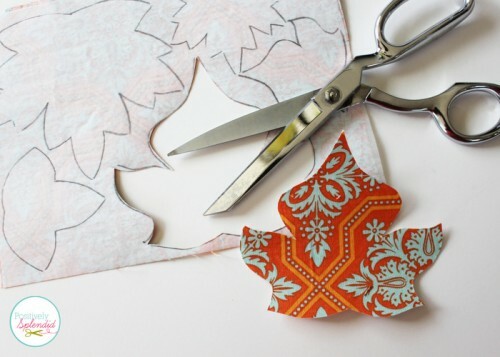 Cut each leaf out with shears. Repeat until you have the desired number of leaf shapes. 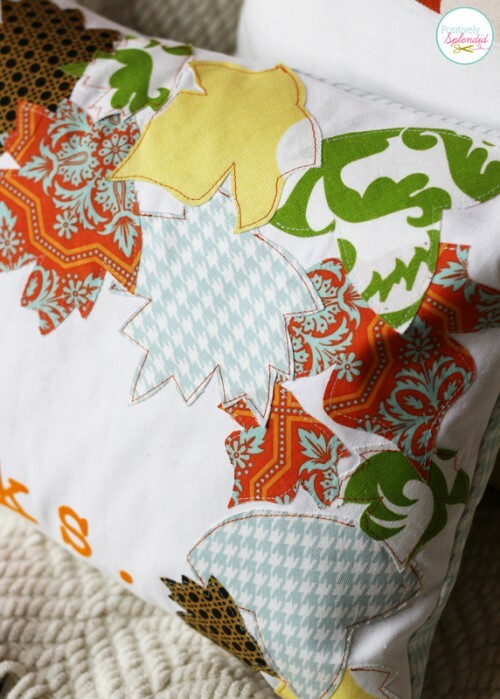 To finish the pillow, look here.